MEGHAN MARKLE and Prince Harry tied the knot over the weekend during their star-studded royal wedding. 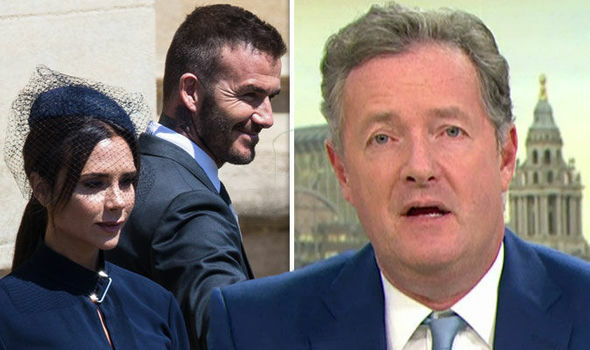 And now Piers Morgan has opened up about the event of the year on Good Morning Britain earlier today, and it seems he wasn’t a fan of the Beckhams’ behaviour. Game of Thrones season 7 episode 6: Did YOU spot this bizarre Longclaw detail? Most reliable cars of 2018 REVEALED – Does your car make the list?